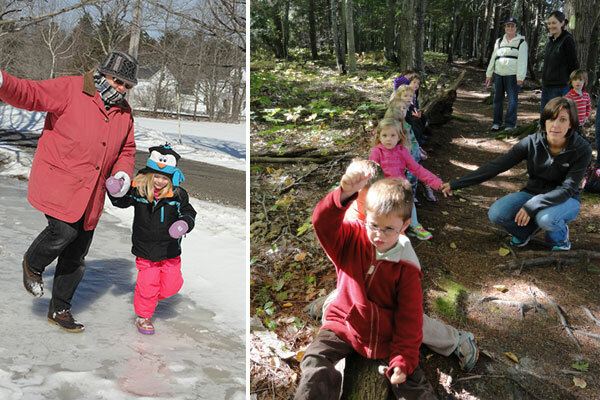 HCNS was founded in the fall of 2003 by Elizabeth Davis, who saw the need for a high quality, center-based preschool serving Harpswell children. A guiding committee, made up of the school director and representatives from Elijah Kellogg Church and the Harpswell community, helped create the nursery school under the sponsorship of the Kellogg Church. From the beginning, the school’s day-to-day operations have been independent from those of the Kellogg Church. In addition, while the staff teach children values of kindness, respect and service to others, the curriculum is not based in, nor does it adhere to, specific religious teachings. Community connections have been a high priority over the years. HCNS has received a Common Good grant from Bowdoin College to build a classroom library, two Early STARTS grants from the Maine Arts Commission for arts enrichment, and two consecutive grants from the Harpswell Heritage Land Trust to fund the creation and development of 5 raised bed gardens. In addition, Fishing Families For Harpswell and the Kellogg Church Women’s Fellowship have contributed significant sums to the school’s scholarship fund.